How Do I Show Components of a Kitset? How can I show the components of my kitset when I invoice it out? 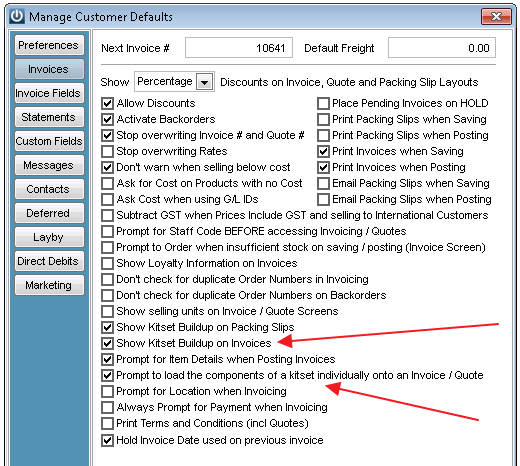 Show Kitset Buildup on Packing Slip or Invoices will display the components EXCEPT on a POS invoice. If the Prompt to load components option is selected then you have the option to display these - as per below Yes; components are loaded, No; kitset is loaded. 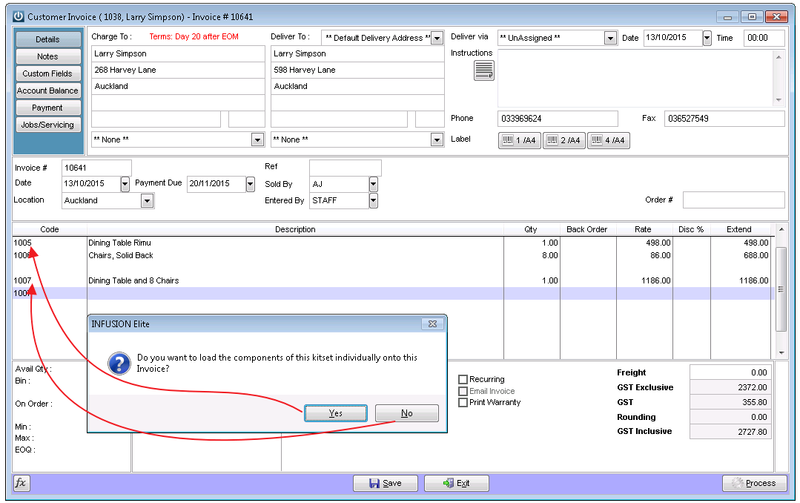 Regardless of which option is chosen the components are removed from stock when a kitset is used.